HEIDENHAIN is represented in more than 50 countries today, mostly by wholly owned subsidiaries. Sales engineers and service technicians support the user on-site with technical information and servicing. The origins of our company lie in a metal etching factory established in late-nineteenth century Berlin. Founded by Wilhelm Heidenhain in 1889, this firm manufactured templates, signs, scales and graduations. After World War II, Wilhelm Heidenhain’s son established today’s company, DR. JOHANNES HEIDENHAIN GmbH, in the Bavarian municipality of Traunreut. Graduations and price scales for the retail trade were among our first products. Drawing on experiments he had conducted in Berlin, Johannes Heidenhain began producing first-of-their-kind optical position measuring systems for machine tools. Dr. Heidenhain and his team subsequently developed photoelectrical linear and angular encoders. These and other innovations produced by HEIDENHAIN initiated the automation of numerous machines and manufacturing plants. During the past two generations, DR. JOHANNES HEIDENHAIN GmbH has emerged as an important manufacturer of numerical controls and drive technology for machine tools. 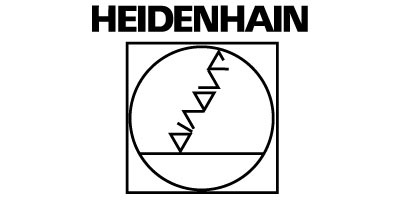 For nearly 125 years, HEIDENHAIN has pioneered highly technical solutions to complex manufacturing requirements. To ensure his company would always remain true to his principles, in 1970 Dr. Johannes Heidenhain entrusted the shares of his company to a foundation. Dr. Heidenhain’s objective was to ensure both the continuity of his company and his firm’s unwavering commitment to technical progress. Dr. Heidenhain’s foresight has allowed us to continue to invest extensively in applied research and development. As long ago as 1930, Dr. Johannes Heidenhain formulated the three principles of Service to the customer, highest achievable quality and continuous improvement as prerequisites for our company’s success. To this day, these principles remain the basis for our work and actions. The requirement for highest achievable quality refers not only to the final products, but also to all activities in our company. The high HEIDENHAIN quality standard has been confirmed by certification according to ISO 9001.